I’m in love. Seriously. 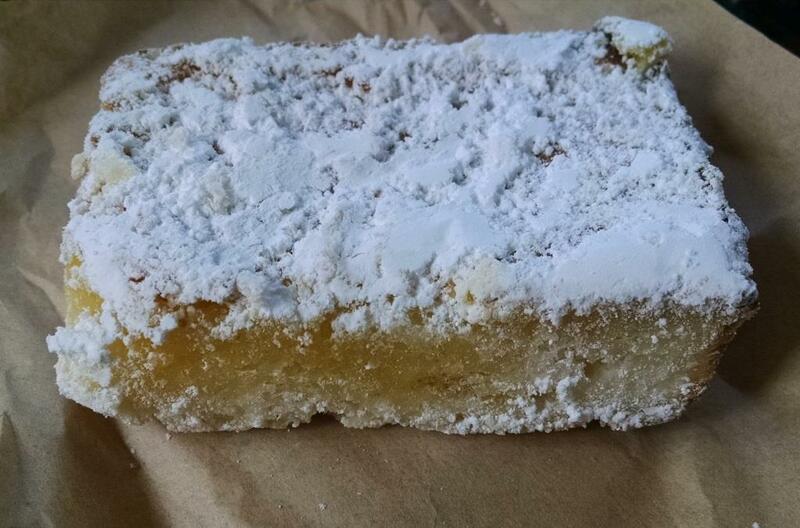 I want to marry this lemon bar. Do they allow that in Washington State? I don’t care. I’ll be an outlaw. I just do not know how Jeanine at Cole’s Fine Foods does it. This lemon bar – the consistency and flavor – rival and surpass that of any gluten-mongering pastry I’ve ever had. How. Does. She. Do. It? </Shatner> The pastry-style bottom has just the right amount of flakiness yet has a wonderful sort of shortbread consistency and taste to it. Most gluten-free shortbread I’ve had has been like sweetened sand. Not this. It’s perfect. As is the filling. I am in awe. On a scale of 1-10, I give this infinity. Run, do not walk, down to Cole’s in North Spokane and get yourself a gross of these things. I’ll be writing more about Cole’s next weekend. You don’t have to wait for that, though. Go try them out for yourself.